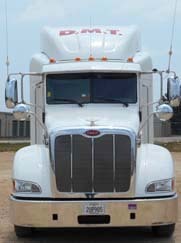 DMT Services, Inc. equipment reflects a professional image for both our customers and our drivers. 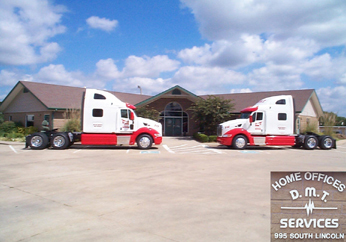 All DMT Services, Inc. equipment is serviced on a weekly basis to help ensure our customer's time sensitive freight stays on the road, not beside it. Our trailer fleet is comprised of fifty-three foot dry van plate trailers. 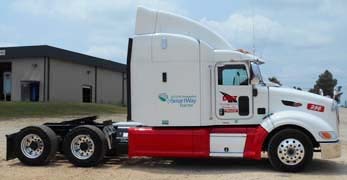 Our trailer to truck ratio is 3.5 to 1, allowing us the flexibility needed to support our 85% drop and hook commitment.